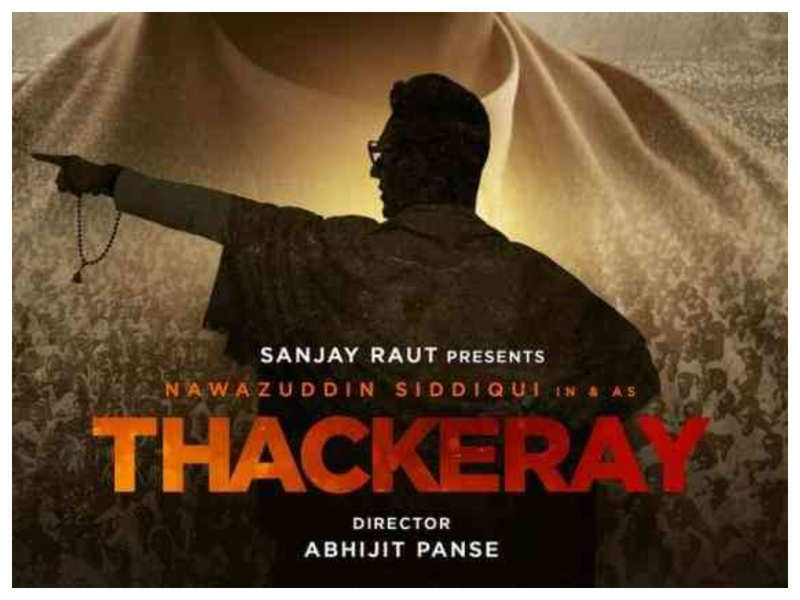 I don't know how could the movie get such nice reviews in papers...Was it ??? ?And for the BJP clan who were getting disturbed as many would get influenced by the movie and it would help in the upcoming elections, don't worry..Like me, even the Sainik's would have felt cheated--but none of them as part of their culture will turn their backs or convey disagreement to their bosses. What is the Guarantee here? 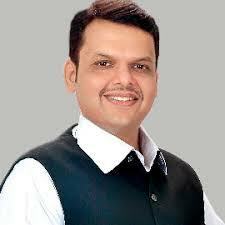 In today's world of liaison in Maharashtra, a lot is happening in there. Change is inevitable, and so does in this profession too...People who are at the top here nowadays have started accepting white money. Yes, in cheque is received against 'consultation' services and money is received in account directly which gets taxed. So, in a way liaison work too has been rechristened as a "white collared" job. 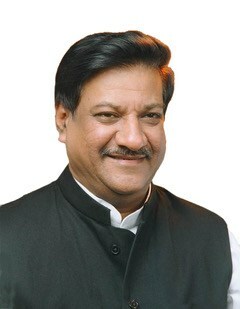 A MLC close to the top brass of the BJP has a Man Friday by the name Jain. 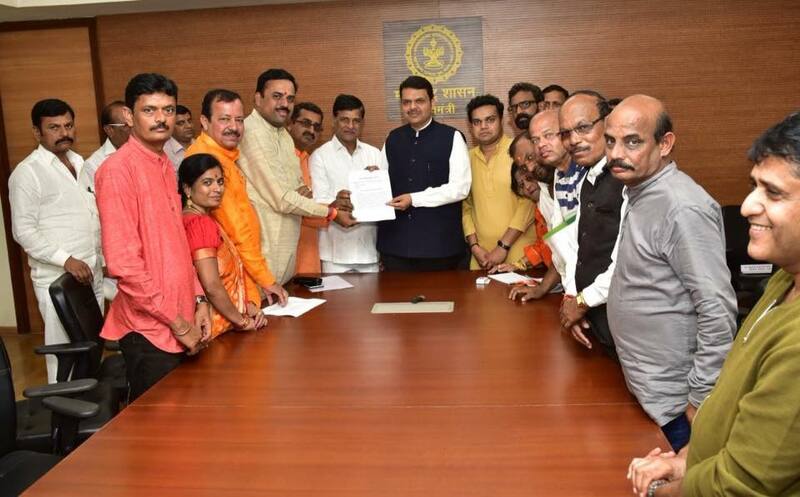 So whosoever approaches him for getting any transfer's work, or getting fibre optics tender passed from Ministry, this Jain is brought in the picture and he then enters in a MOU or an agreement which is notarised, on behalf of the MLC. Hold on a second, not all of the money that is decided has to be in cheque. There is a cash component too. The token amount, is to be compulsorily paid in cash. Then the money is received as per the stages of work that is mutually agreed. So when the the cash is paid, and if due to any reason, the work gets stuck or the file is rejected the cash component is never returned. The "entry" is returned though. Such is the modus operandi in liaison business these days. Now many times, due to ill commitment of the liaison, parties break the agreement. They don't want to go ahead in their work. What does the liaison do now? If he is very powerful, he straight away "threatens" to the person that the money that was decided of the deal will be paid even if the business man is not getting his work done through him...Crazy isn't it? In one of the biggest redevelopment project of Mumbai in Kandivali, the liaison had promised his services (again with some other person in front) to the developer from Kolhapur & for 1.5 year now, nothing has happened... but since the developer has backed out (due to no movement of file), the liaison is threatening to pay him his fees (in hundred crores) even if the developer gets his work done from anywhere else. हि अशी या राज्यातल्या काही नारदछाप नेत्यांची वृत्ती आढळली कि असे वाटते जाळीवर विनाकारण चढून बसलेल्या त्या चव्हाणांस देखील असे मुद्दाम कोणीतरी ब्रेन वॉश करून भडकविले गेले कि काय, आपोआप तसे वाटायला लागते. म्हणजे देवेंद्र फडणवीसांवर डूख धरण्याचे खरे कारण वेगळेच असते त्यामागे अनेकदा लोकांचे हित साधणे हा उद्देश नसतो तर फडणवीसांचा राजकीय बळी घेण्यासाठी अमुक एखादा भावनिक मुद्दा उपस्थित करून लोकांची माथी भडकावली जातात किंवा फडणवीसांना येनकेनप्रकारेण बदनाम केले जाते. बॅटिंग करणाऱ्या निष्णात बॅट्समन सारखे देवेंद्र यांचे झाले आहे म्हणजे मैदानावर चहू बाजूंनी निष्णात खेळाडू वरून फास्ट बॉलरचा मारा तरीही एखादा तेंडुलकर कसा अनेक शतके झळकावून मैदानाबाहेर नॉट आऊट राहून बाहेर पडतो हे असेच यशस्वी बॅट्समन सारखे फडणवीसांचे आहे. नॉट आऊट राहून ते बाहेर पडतील, तुम्हाला यात शंका आहे ? 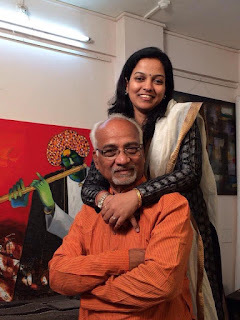 In mine and dad's combined journalistic experience of more than 40 years, it is difficult to single out who remains the topmost influential person in Maharashtra's political scenario for a person who is neither a Politician, Bureaucrat or a Journalist. He has to be none of these but yet he has the power and money like many of these mentioned above. He is who, is at the top of his game, come whosoever at power. 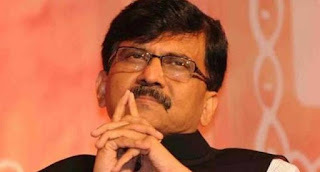 Be it the Cong-NCP, be it the BJP-Shivsena rule--the list is not big...there are handful of names that have made their mark with their style of businesses they operate in. Many people would term such influential personalities as Liaisoner's but friends in India, even though lobbying or liaison is illegal, most of the western countries people have made fortunes in this type of business and they are law-abiding citizens of their countries. When it comes to lobbyist or liaising or in more colloquial terms called as Public relations, no one in our country matches the power of Amar Singh or the Darda family. Then these 'most influential' people might start their career in business either related to politics or as contractors---after some years they often end up deciding many bureaucratic or ministerial changes in the government or sometimes the Government itself. So the one's who made to my list in Maharashtra lately are Sudhakar Shetty, Jayant Shah, Ajay Sancheti, Vivek Jadhav, Ujjwal Pagariya, Aniruddha Deshpande (Pune), Ravi Rana and so many other MLA's/MLC's who day-in-day out are only getting others work done, but at a cost. 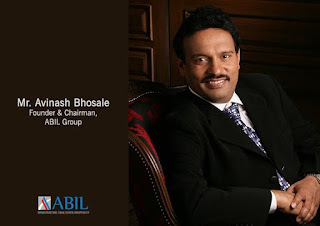 But the one who takes the cake in contracting, real estate and making himself into another entity altogether and as big as a King of a kingdom-- is none other than Chairman of ABIL-Avinash Bhosale. One of Avinash Bhosale's contention when he met me was that journalists should not disturb 'wealth creators'. He tells me, why do you people fail to understand that whilst creating this wealth a lot of hardwork, the human hours in a day I put in, the sacrifices I have made all goes in vain when I see any negative news against me...I argued the nature of business he is in....But he says he has taken in stride all "types" of journalists till now, hence he does not get affected.... He cited that in western countries like that of the US, wealth creators are deeply respected in their societies, but here if someone is a wealth creator, it is often associated with "corruption". This perception should change here, maintained Bhosale... But I surely had my thoughts reserved for that. Anyways, that was the few minutes of our interaction but I have promised to meet him more when I'am in Pune and let this acquaintance grow into friendship. But I'll tell you, am sure he had visited Samant with some work, again after I left Samant's cabin I went over to meet my other bureaucrat friend Dr. Pravin Darade. We had just begun to sip our coffee wherein I again saw Mr. Bhosale entering the cabin. It is not important what the work or purpose of visit was. We should understand that a man who is amongst the richest in our state still goes to cabin to cabin to meet everyone personally. Similarly MLA Mangal Prabhat Lodha, another richest person of our country or MEP's Jayant Mhaiskar or IRB's Virendra Mhaiskar or builder Vivek Jadhav. See these people set examples for us---that the tree looks good only when it is bent. Modesty and being grounded is their middle name. Else nowadays I see many businessmen, corporates who earn a few crores and think no end of themselves. I have seen "dalaal's" of Mantralaya, Vidhan Bhavan and BMC roaming in the top designer wears with watches ranging to Rs. 50 lakhs (yes you read it right) and just having no sense of "being grounded". Then the growth and trust factor of bureaucrats or politicians on these newly rich people is also temporary for such high flying dalaal's. They cannot become a Lodha or a Bhosale who have earned trust with so many bureaucrats and politicians over years....You cannot become Bhosale overnight...Just for information friends, one of my friend in Nagpur is going exactly the Bhosale way--I called him last week and told him--Bro, If the BJP government remains in the state for the next 3 years, we have another Avinash Bhosale in making--mark my words, friends!! स्प्रिंग ओनियन या चायनीज हॉटेल मध्ये जायलाच हवे, असे चायनीज निदान माझ्या तरी जगभरात कुठे खाण्यात आलेले नाही, पुण्यात आहात आणि ' तथास्तु ' या चार मजली साड्यांच्या पैठण्यांच्या दुकानात गेला नाहीत तर मला खात्री आहे जर तुम्ही पुरुष असलात तर घरी परतल्यानंतर बायको तुम्हाला नक्की बदडणार आहे. अमुक एखाद्या दुर्धर रोगावर तुम्हाला आयुर्वेदिक उपचार करवून घ्यायचे असतील तर जगप्रसिद्ध डॉ. विनय बेंडाळे किंवा डॉ. शर्वरी मिसाळ या दोघांपैकी नक्की निदान एकाला तरी गाठावे.